What are you doing to celebrate Earth Day today? I am planning to celebrate with friends, environmentalists and all who happen along The Hague Earth Day event this evening (hopefully you included! ), from 17:00-20:00 at the ABC Bookstore (Lange Poten 23). When I think about environmental organizations, quite often the flashy, daring ones first come to mind: Greenpeace, Earth First!, the Sea Shepherds or the Organic Consumer’s Association and their Millions Against Monsanto campaign. These organizations are out on the front line, radically fighting the battle for the environment in their own ways. And while there is much to be said about their bold, attention grabbing approaches that pull our thoughts toward the environment, we also need steadfast, local groups that bring awareness of local environmental issues and offerings to our fingertips. The Haags Milieucentrum is one such organization, and they will also be represented at The Hague Earth Day Celebration this coming Tuesday, Arpil 22nd, 2014 from 17:00 to 20:00 at the ABC Book Center (Lange Poten 23, The Hague). For 22 years, the Haags Milieucentrum has been supporting local organisations dealing with nature and the environment. We provide information about sustainability to citizens, companies and the municipality, and try to make it easier for citizens to lead their lives in a sustainable manner. In other words, The Haags Milieucentrum (The Hague Environmental Center) provides information on all things Green in The Hague. Want to know where you can recycle your mobile phone? Look on their recycling link (consumptie en hergebruik). 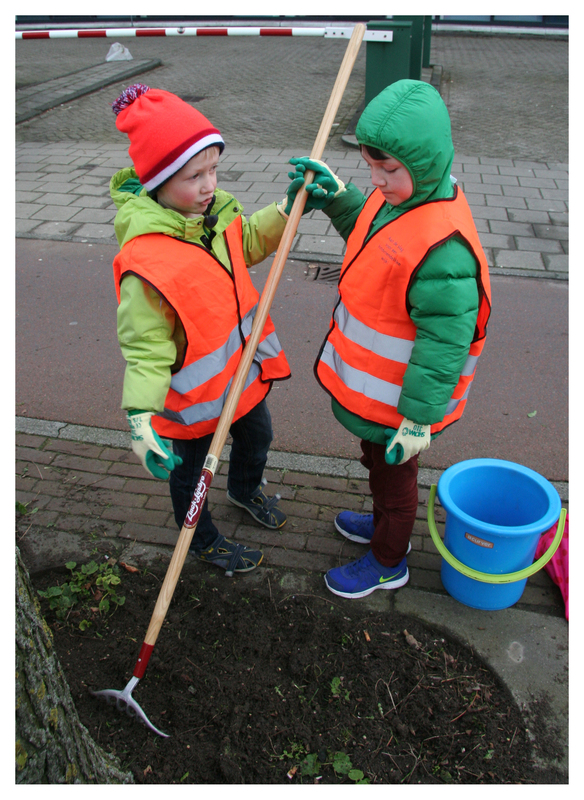 Want to learn about environmental activities coming to The Hague? Check out their home page. Curious about energy and climate projects and information relevant to The Hague? Check out their Energie en Klimaat link. Perhaps you’re not one to peruse websites, but prefer to get the latest news right in your email box. That’s also possible! You can sign up for their Haagse MilieuMail (The Hague Environmental Mail) e-newsletter and have a list of current eco-events delivered to your inbox. Come meet representatives of Haags Milieucentrum, rub elbows with others who care about our planet, enjoy some local, organic food, listen to classical music, be tempted by a number of books about the environment, and celebrate the Earth this coming Tuesday, April 22nd, 2014 at The Hague Earth Day event (ABC Bookstore), and don’t forget to bring a friend! Categories: Authors, Earth Day The Hague, Environmental living abroad, Environmental organizations The Hague Tags: Earth Day The Hague, Haags Milieucentrum, Milieumail, Where do I recycle mobile phones in The Hague? Happy Easter everyone! Today was filled with shared meals, family and friends, a sense of peace, prayer, hours in the park playing and flowers gracing table tops and forest paths. And speaking of flowers, my thoughts drift naturally to Project Bloeiende Boomspiegel. One of the featured eco-friendly organizations that will be at The Hague Earth Day event this coming Tuesday, April 22nd, 2014 at the American Book Center (Lange Poten 23) from 17:00-20:00. I spoke with Antoon Moonen, the founder of this wonderful organization, and asked him for a summary of his project. Project Bloeiende Boomspiegel is a Hague-based organisation that transforms empty dirt patches beneath city trees into blooming colourful oasis’ for bees, butterflies and insects, bringing pockets of nature into the city that can be appreciated by all. If you are American, you may be wondering why Mr. Moonen misspelled colourful and organisation. That’s because he heralds from New Zealand, where they learn the Queen’s English (that British Queen). I am lucky enough to live in the neighborhood where Mr. Moonen launched this brilliant project, which means the trees gracing our neighborhood sidewalks are surrounded by leafy plants that will shoot forth long stocks laden with beautiful flowers over the next few months. These flowers aren’t meant to be clipped for that vase on the center of your table, but to stay around the bases of the trees to decorate our neighborhoods. What I love about this grass roots project is that it brings neighbors together at specific times each season, whether it is preparing the ground and sowing the seeds in the Spring, tying the long flower stocks back in the Summer, or harvesting seeds in the Fall. In addition to all of that comradery is the richness of nature brought right into our city streets. And I must say, beautiful, blooming flowers are a vast improvement to dirty patches of earth. You would think a flower is just a flower, but they seem to make a big difference in our lives when they are grouped together and in such great contrast to cement, brick and buildings. The large city trees rise like beacons to the city dwellers, and the “bloeiende boomspiegels” at their bases ask us to take pause, smile and enjoy their beauty. 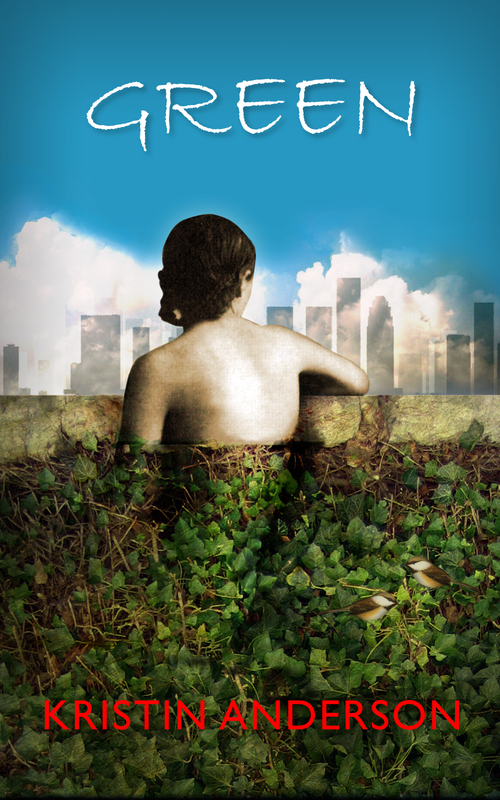 For more information on Earth Day The Hague 2014, see my April 10th post here on Author Kristin Anderson. DHiT–The Hague in Transition coming your way! 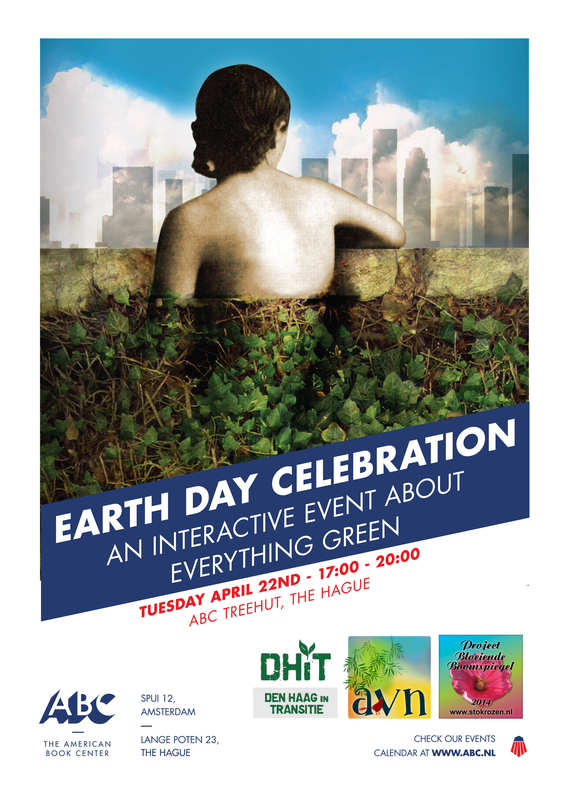 My regular readers may know by now that a week from today, on Tuesday April 22nd, 2014, The Hague will be having an Earth Day Celebration. 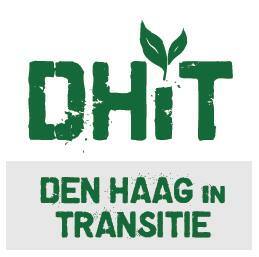 One of the featured organizations is DHiT – The Hague in Transition. The name already speaks volumes; it tells you where this organization is located and the nature of their vision: transition. But what does transition mean in this case? The Hague in Transition facilitates the coming together of the local community in The Hague to take steps towards a vision of a green, creative and self-sustaining city. In order to achieve this we challenge and transform the current societal paradigms of how we live and work together. A few weeks ago, I attended a Saturday event at DHiT. I talked with an organic chef, listened to a presentation on a community garden project that vested residents in local, sustainable agriculture, participated in a guided meditation and caught the end of a presentation on green roofs. All this in just one afternoon! This active organization offers a lot to the community and is growing. Want to learn more about DhiT in The Hague? You can check them out online here, or you can meet members in person this coming Tuesday, April 22nd, 2014 between 17:00-20:00, at the The Hague Earth Day celebration, ABC Treehut, Lange Poten 23, The Hague. 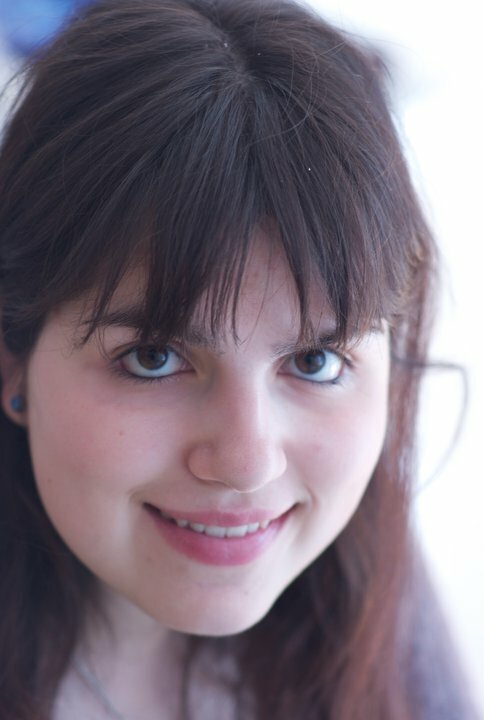 *Although this event is geared toward an English speaking audience, all of the organization’s representatives are either native Dutch or have a working level of Dutch under their belts. Hope to see you there! Please share our event with your friends!